The long awaited Funky Green Stuff has arrived! Everything is green! The blend appears coated, sprayed, dipped green. Upon opening there is a definite wonderful smell. . This Green Stuff definitely appears to be a different blend. There aren’t as many long stems but there are some short. 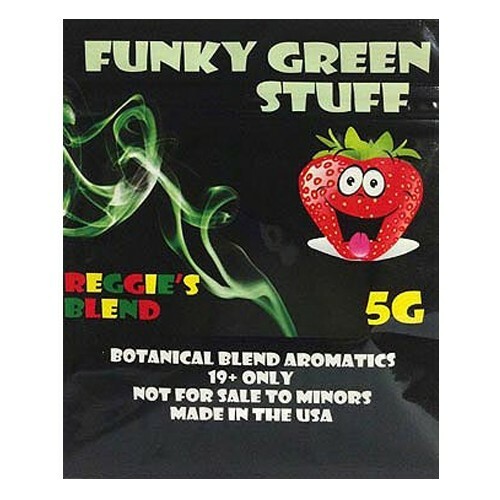 Funky Green Stuff is just faster than other blends I have tasted before. It burns faster, and burns out faster. So there’s your balance. Personally, I think they are the best, most reliable mix available.